Android is an operating system for tablets and mobile phones in the same that PCs run Windows as their operating system. it is maintained by google and available in different versions. As android phones are highly customizable and as can be suit your needs and tastes with wallpapers themes, applications etc. When you set up a android phone you needs to create a google account to download any application or software. 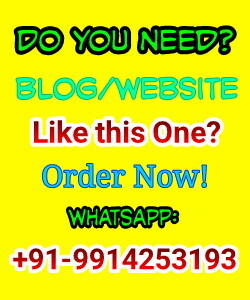 Mostly trusted site or application is 'Google Play Store'. This is mostly pre-installed in android phones. Smartphones are the second name of android mobile phones. There are thousands of apps and games are available on playstore to download in android mobile phones. This phone works like a camera, like a bar code reader, like a web camera etc. In simple it is like a store of advanced services which are gifted by google to users in the form of box, which we call android or smartphones. Also there are various screen widgets to download which allow access to and the alteration of settings on your phone, without need to go through menu options as you have to do with simple mobile phones. What are secret codes for Android Phones? Here in Given below image you are seeing lots of codes, these codes are not like a hacking material. 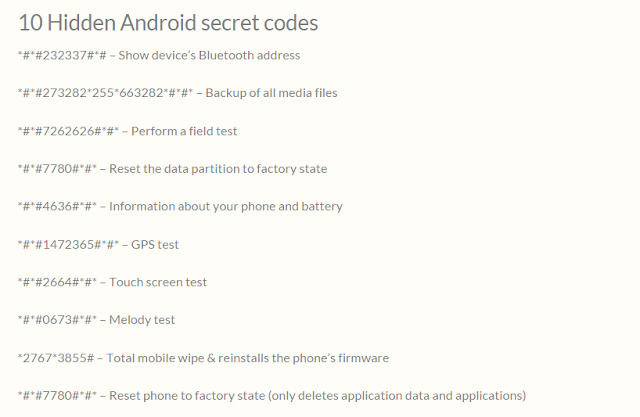 These codes can help us to identify our android devices, some security and safety tips tips. Generally when we talk about safety and security we discuss on device compatibility, their versions, warranties, their made etc. And these codes will provide all of these access. *#*#232337#*# Show device bluetooth address. *#*#273282*255*663282*#*#* Backup of all media files. *#*#7262626#*#* Perform a field test. *#*#7780#*#* Reset the data partition to factory state. *#*#4636#*#* Information about your phone and battery. Find more codes in image. Message: I hope that you have enjoyed 'About Android and 10 Hidden Android Secret Codes' article. However, if you want me to deliver more articles then please share my post. You can use Social Sharing Widget provided at the end of every post. After all, Sharing is Caring!.